A Japanese-inspired bed with interlocking joints and long sweeping chamfers for visual interest that sits 15" high (with a 9" thick mattress). 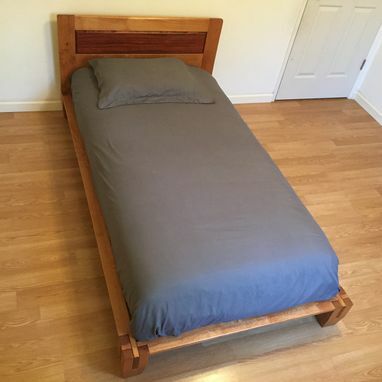 No bed rail hardware and it is completely movable (head ad foot board are fixed). 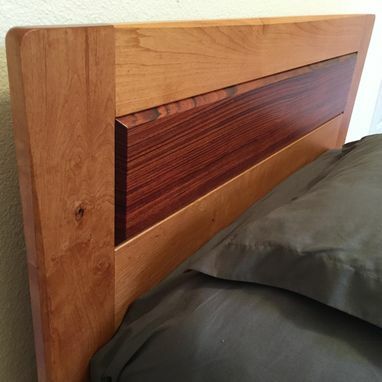 Made from Cherry with a Bubinga raised panel in the headboard. 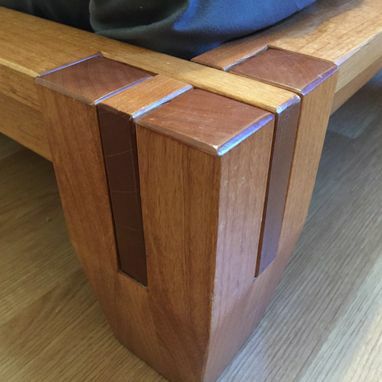 This bed can be made in any wood species (prices may vary). Finished with a durable hand rubbed varnish. Can be ordered in a full, queen, king, or Cal king bed (may add to completion time).